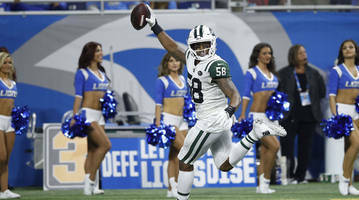 Jets linebacker Darron Lee on Matt Stafford: 'We knew his signals. We knew everything"
DETROIT -- Sam Darnold was playing in his first NFL game, but it was Matthew Stafford who looked like a rookie rattled by a defense he previously hadn't seen. 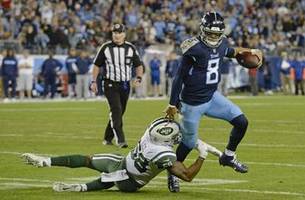 There is no denying the biggest weakness on the Jets' defense, and their inability to swing a trade for Khalil Mack on Saturday only underscored how dreadful their pass rush has become. 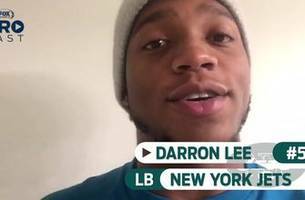 Darron Lee was hit hard by Bart Scott — and brushed it all off.